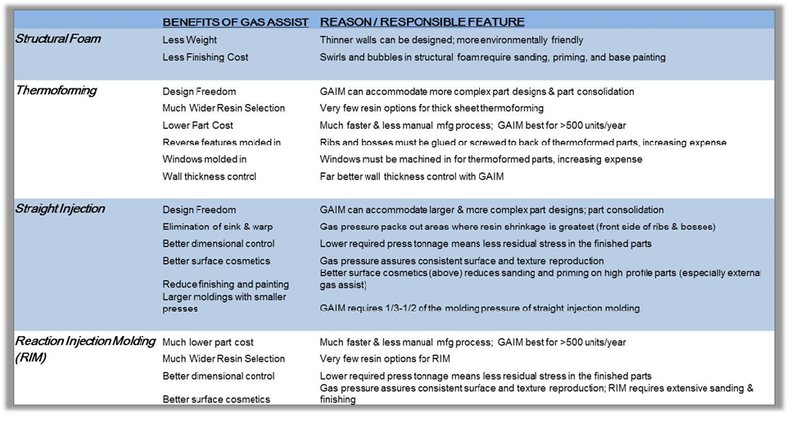 Home » What is Gas Assist Injection Molding? 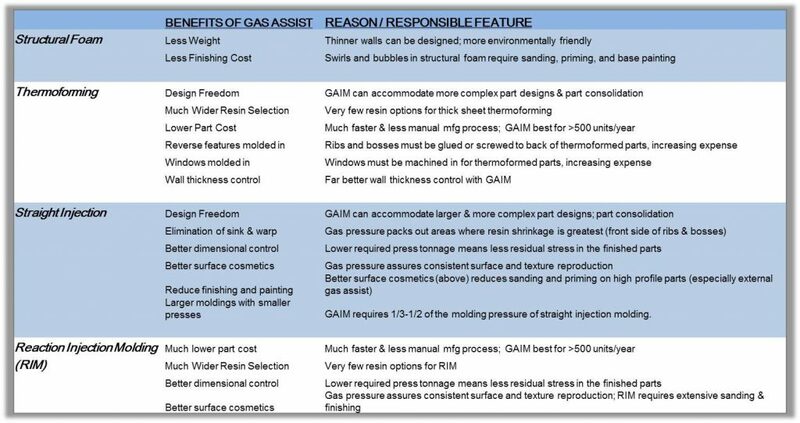 What is Gas Assist Injection Molding? 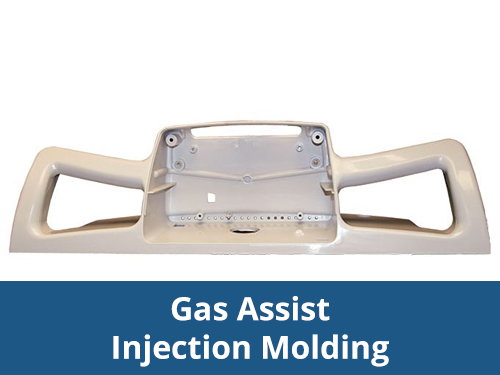 Gas assist injection molding is a process that produces large plastic parts with complex designs and superb cosmetic surface finishes. The process is especially ideal for large handles, equipment covers, doors, bezels, cabinets and skins. 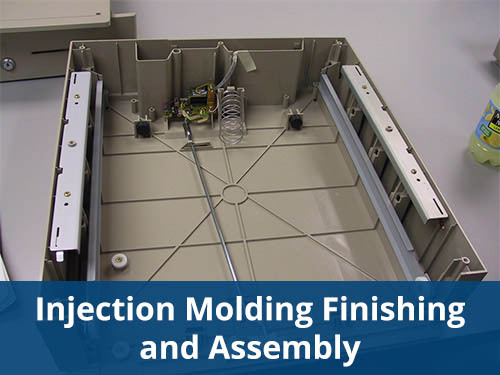 For more on how we can help to design or transition your parts to gas assist injection molding, please watch this short video. When is Gas Assist Injection Molding Used? Why is Gas Assist Injection Molding Used? 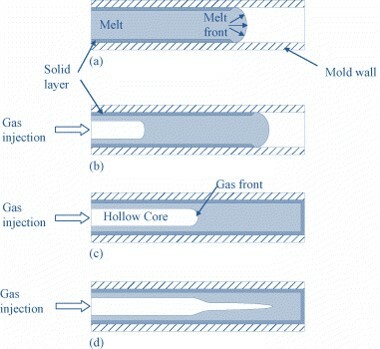 In external gas assist injection molding the molten resin is introduced into the mold but the gas is injected in a micro-thin layer between the back surface of the part and the mold core, thereby forcing the front surface of the part against the opposite side of the mold cavity. Along with potential reduction of part count, additional savings are achieved through use of the gas assist processes, thereby reducing the total number of parts, tools and assembly steps. 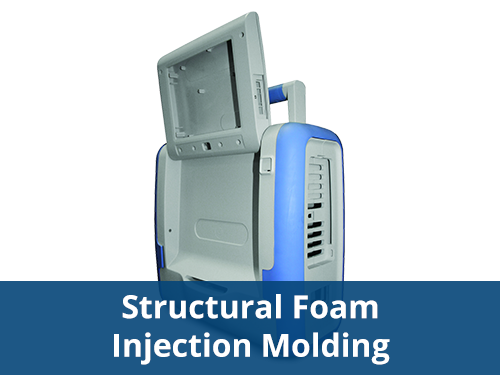 This technology offers many design and performance advantages over other large part molding processes. Multiple parts with differing wall thickness and complex designs can be molded as a single part with tighter tolerances. 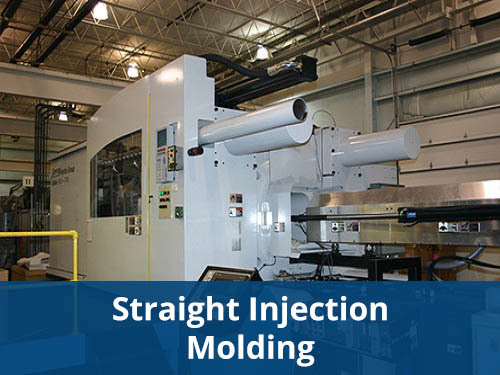 Sajar has deep experience converting existing designs from sheet metal, structural foam, thermoforming, and reaction injection molding.Because we also practice straight injection and structural foam molding, we can accommodate any part with the most appropriate manufacturing process. Gas assist injection molding is a low pressure process that requires the injection of pressurized nitrogen gas into the interior of a mold. The gas flows through strategically placed gas channels to displace the material in the thick areas of the part by forming hollow sections. The pressurized gas pushes the molten resin tight against the cavity walls until the part solidifies, and the constant, evenly transmitted gas pressure keeps the part from shrinking while also reducing surface blemishes, sink marks, and internal stresses. This process is ideal for holding tight dimensions and complex curvatures over long distances. On the left, classic injection molded (CIM) parts show evidence of resin shrinkage on the front side areas of the rib/wall junction. 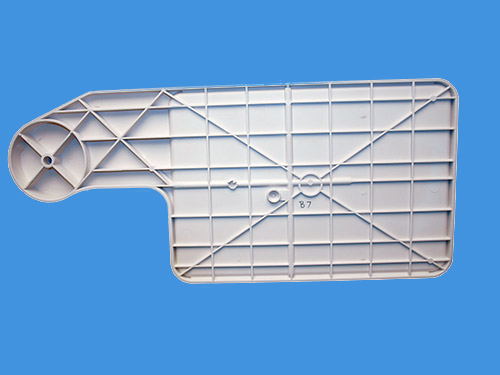 For external gas assist injection molding (EGAIM) gas packing on the reverse side of the part prevents front side shrinkage. This technology offers many design and performance advantages over other large part molding processes. Multiple parts with differing wall thickness and complex designs can be molded as a single part with tighter tolerances. Support ribs and bosses can be molded into the part itself, and the gas channels can be directed to eliminate evidence of these support features on the customer facing side of the parts. For these reasons parts exhibit improved dimensional stability and higher quality surface cosmetics, while requiring minimal or no secondary operations. Gas assist injection molding is an attractive option for producing a better quality alternative to existing large metal parts. 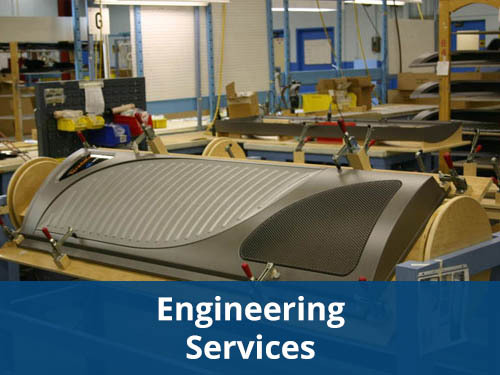 Customers achieve tremendous performance benefits by eliminating expensive, heavy, corrosion-prone parts such as covers, enclosures, access doors, and panels. 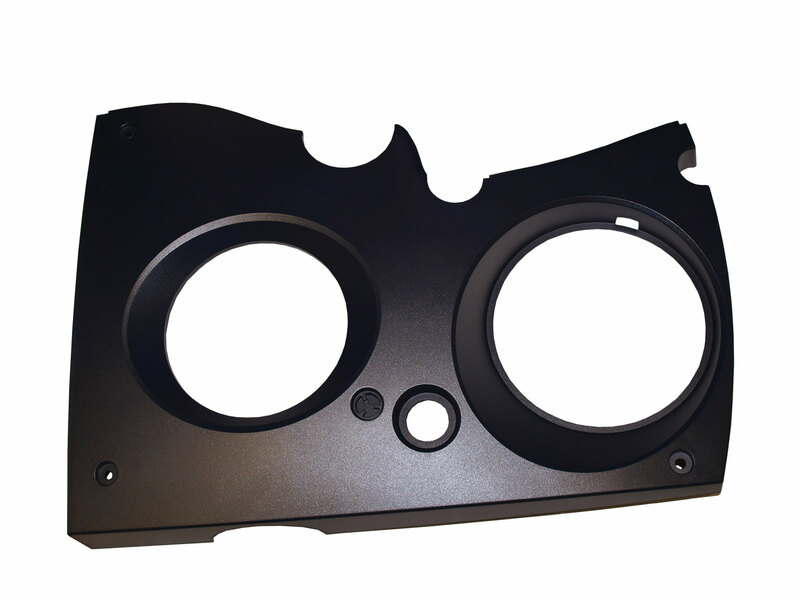 Another attractive conversion opportunity is the replacement of existing thermoformed, vacuum formed, or pressure formed parts. 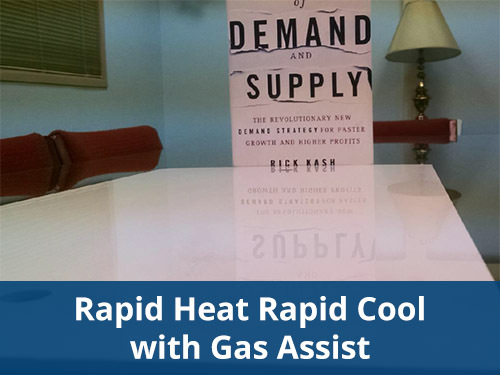 Formed parts require labor-intensive, expensive secondary operations and the cost savings associated with gas assist justifies the investment in tooling to convert to gas assist injection molding once production quantities reach modest levels. 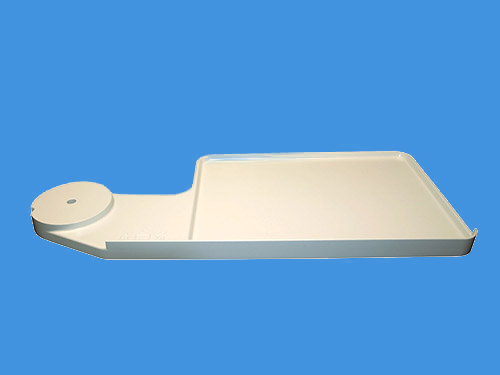 Part features such as support ribs, bosses, and windows can be incorporated into the mold of a gas assist part and the costs of gluing, bonding, trimming and machining normally necessary for thermoforming can be eliminated. Through early involvement in the engineering and design process, Sajar Plastics can provide you with a competitive advantage through use of gas assist plastic injection molding. Contact us today to learn more. 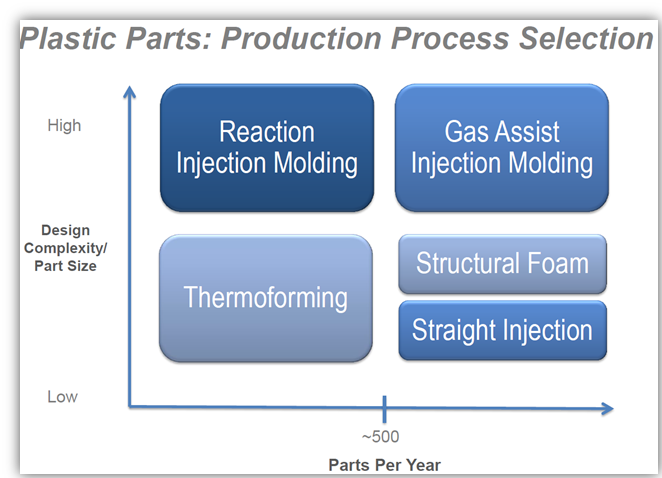 When is Gas Assisted Injection Molding Used?